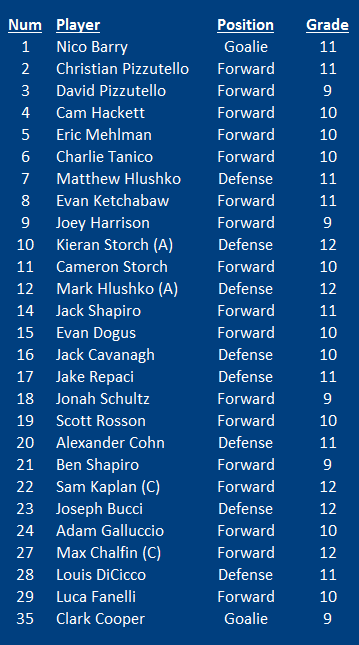 Rye Town/Harrison Titans Ice Hockey program, established in 2004/2005, is a High School ice hockey program located in Westchester County, New York. The Titan's compete in Section One of the New York State Public High School Athletic Assoc. - Port Chester High School in Port Chester. Rich Myers is in his first year as the Head Coach of the Titans. He arrives with 15 years of coaching experience; the majority of which has been with the White Plains Plainsmen Youth Hockey Club at all levels from Mite to 18u. Rich has led 10u and 14u teams to the Hudson Valley League Championship as well as four team appearances at the NYSAHA State Championships at 12u, 14u and 16u levels. Rich’s teams have also enjoyed wins at CHE tournaments in Lake Placid, Pepsi Labor Day tournaments in PA, and the Crabtown Showdown in MD. In addition to his Level 4 Coaching Certification, Richhas been a USA Hockey Official and a NIHOA Official for the NYSPHSAA Section 1 for over eleven years. He holds a Bachelor’s Degree in Business and is currently an Outside Sales Representative for Terminix.